But if you have ever attended a Kiwanis meeting, you know it is so much more than that dry description. These people are fierce – fierce in their love for this country, fierce in their desire to help others less fortunate and fierce in their love for one another as a community. Kiwanis holds a special place in my heart. My father, who passed away just before Christmas five years ago, was a long-time Kiwanis member and he was, (envision me with a fist pump and yelling in my best cheerleader voice to the groups to whom I spoke): “Past President of Northern Dakota County ‘Golden K’ Kiwanis!” (That’s in the Twin Cities area of Minnesota). 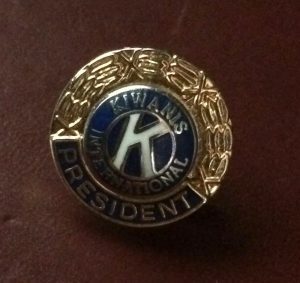 I actually have one of my Dad’s Kiwanis pins which I wore to the meetings at which I was the speaker. A side note: you can be fined a tidy-sum if you are a Kiwanis member and don’t wear your Kiwanis pin. It’s not that they are legalistic – it’s just another way for them to raise money to help others. See what I mean about being fierce? The clubs to which I spoke were interested in hearing about my acting career. Oh boy. You would think that would be music to an actor’s ears. Who doesn’t want to talk about, “And then I did this . . . and then I did this! . . . And did you see me do this?” Most people would envision the Me-Monster syndrome that comedian Brian Regan talks about taking over my psyche. But truthfully, that kind of self-disclosure makes me uncomfortable. However, being asked to speak about my acting career was a great opportunity to reflect on the past, as one is apt to do on New Year’s Eve: reflect on what brought me out here, reflect on accomplishments, reflect on what hopes and dreams for which I am still hoping and dreaming. 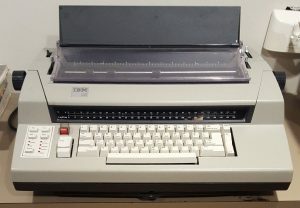 In September, I celebrated a couple-of-decades “plus” anniversary of the day I drove my car from St. Paul, Minnesota to Los Angeles (not knowing a living soul in L.A.) with some clothes, an electric typewriter (if you remember those) and a sewing machine. Being born and raised in Minnesota, a sewing machine was de rigueur. I was beginning my adult journey of pushing myself to expand beyond what was familiar. Becoming successful in anything requires a consistency of purpose. Chipping away every day. Even when it’s uncomfortable. As an actor, the pull of discomfort can happen in many forms: a script that is a difficult story to tell, a fear or anxiety of being able to walk into a room of producers and casting people and have the work seem effortless (let alone a ‘live’ audience in the theatre), and of course, just the sheer optimism that is required on a daily basis to not give up in the face of rejection. I have to remind myself of the reward on the other side, if I can just push through the discomfort. Just like when you are lifting weights in the gym. Doing five reps is easier, but it isn’t going to give you the kind of arms that 25 reps will give you. But sometimes, there is the pull of things that sound so much more enticing than pushing. Yes, we all need those relaxed moments of enjoyment. But, are they pushing us to our fullest potential? Probably not. When I feel discomfort, I am almost always assured that some kind of change, knowledge, expansion is happening. The Pulitzer-prize winning author David McCullough was interviewed about his book on the Wright Brothers. He was asked what was the common denominator in successful innovators like the Wright Brothers. We must determine a mission that goes beyond self. And then, it’s a decision every single day to ENGAGE. As my acting mentor Diana Castle has said, we must have a clear sense of reward in the face of threat or there will be retreat. The heart of the matter for me is, if we do not push, if we do not live from a place of discomfort in our lives, we won’t reach our full potential. Be of service to others, hoping to enrich the lives of others. Here’s to an “uncomfortable” 2018 for all of us. Originally published December 31, 2015 (Edited December 31, 2017). 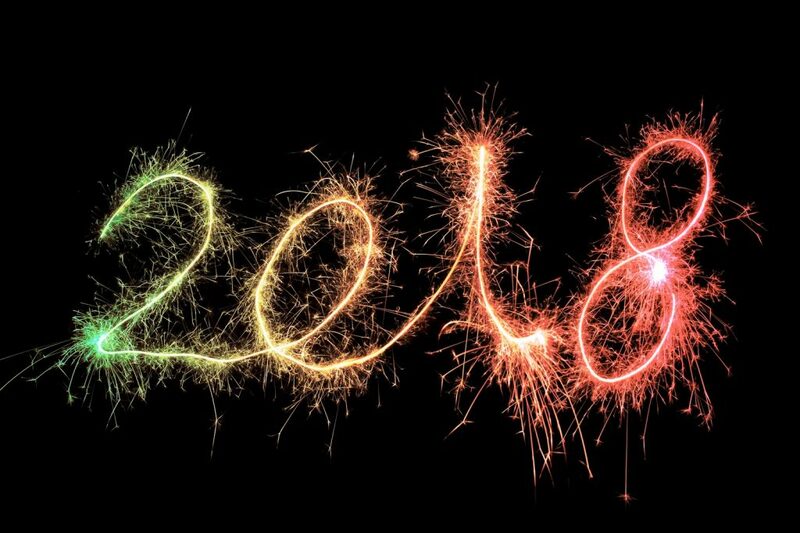 One Response to Here’s to an Uncomfortable 2018! What a great message for starting the new year! It’s hard to imagine a better description than that…thank you!